Ukraine is one of the biggest countries in Europe. Its territory has rich soil and perfect climate for growing crops and vegetables. Inspired by its agriculture roots, Ukrainian dishes are hearty and utilize the many crops grown there. Most Ukrainian dishes are fairly simple to make but are delicious and comforting. The recipes Ukrainians make today have barely changed from when they were first were passed down. Ukrainians value hospitality, that’s why hosts often greet their guests with loaf of bread and salt as a way to welcome them. 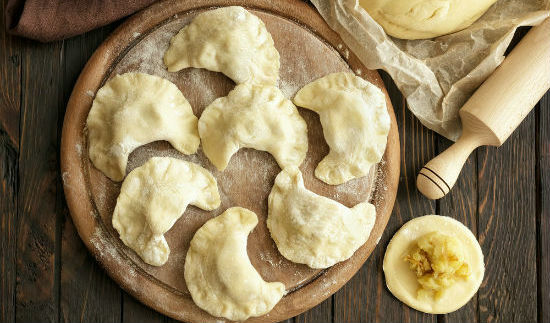 The important fact is also that about 85% of Ukrainians are Christians, therefore, celebrating Easter and Christmas are the really great occasions to cook something special. Borscht is the most popular dish in Ukraine is Borscht. The main ingredient here are beets. 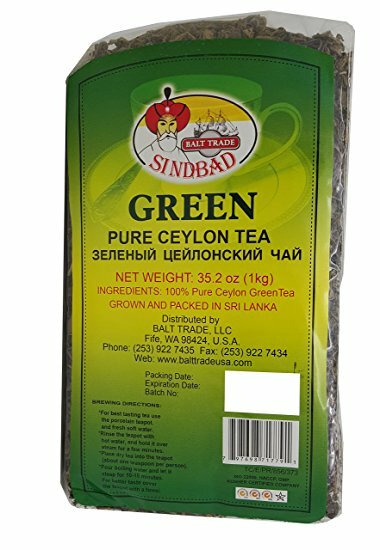 They provide the signature deep ruby color and slightly sweet flavor. The usual Borscht recipe also includes onion, cabbage, carrot, parsley. The ingredients can be changed due to preference. Each family has their own special twist that has been passed down through generations. Usually, borscht is served with sour cream and piece of bread. Perogies or Varenyky are also extremely popular. 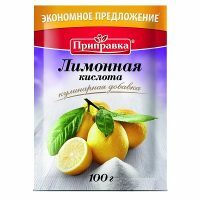 It would be hard to imagine Ukraine without Varenyky despite the recipe originally coming from Turkey. Today it is an iconic Ukrainian food. It is made of boiled dough with different fillings. Potatoes, mushrooms, cabbage, meat, or even cheese can be used as fillings. Ukrainian dumplings can be sweet as well. For instance, those with cherries are especially popular in summer. 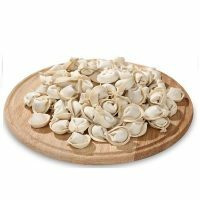 A long time ago, women used to eat Varenyky on the day after their wedding as it was a symbol of wellness. Ukrainian love their kovbasa. 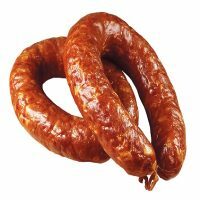 Kovbasa is a sausage made of pork meat and fats, with garlic, salt, and pepper. It is almost impossible to imagine a Ukrainian lunch or snack without kovbasa. 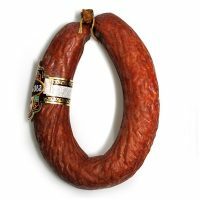 Kovbasa is also traditionally placed in Easter baskets. Ukrainian sweets are exported all over the world. 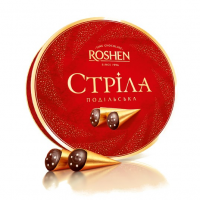 One of the most famous brands that produce sweets is “Roshen”.They produce only high-quality desserts. They use their own unique recipes. 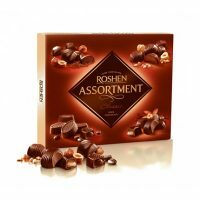 Roshen Confectionery Corporation produces boxed sweets, chocolate bars, caramels, candies, biscuits, wafers and more. It goes without saying that a box of chocolate will make any day a good day. 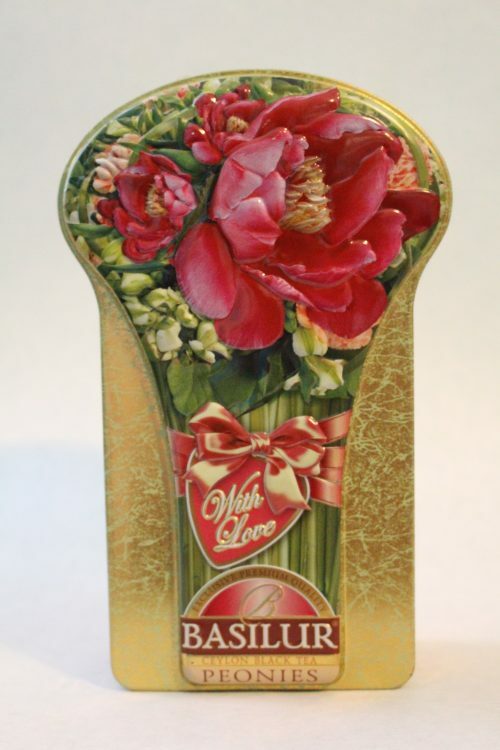 Sweets can be both the main gift or a nice addition. Why Is It Wise to Choose European Specialities? 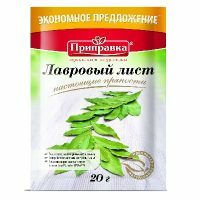 Our grocery store is a great solution for those who want to try original and popular Ukrainian food. 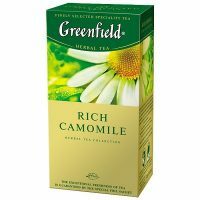 We carry an exceedingly large assortment of goods you can buy in store or online. 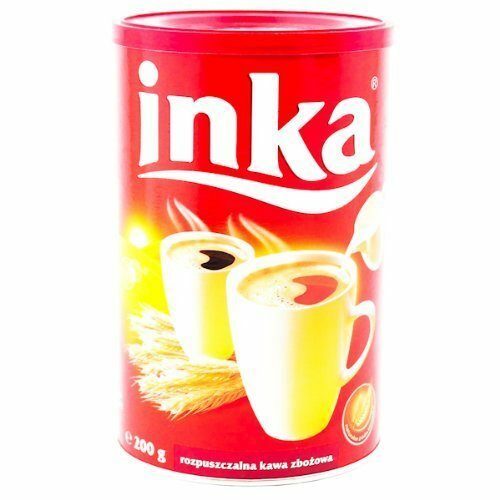 Visit us and enjoy the premium quality of eastern European products you deserve. Along with its history, Ukraine impresses everyone by its great cuisine, which is famous all over the world. Nobody can resist the pleasant smell and taste of Ukrainian dishes. 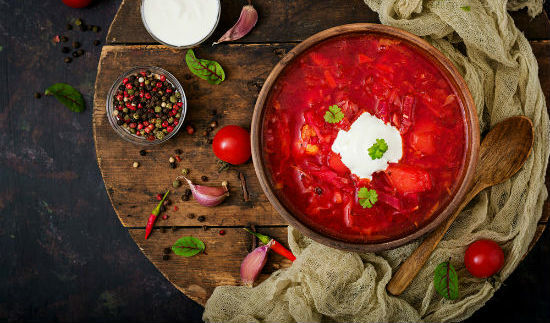 Borscht is the first thing that pops into everybody’s mind when they think of Ukrainian food. 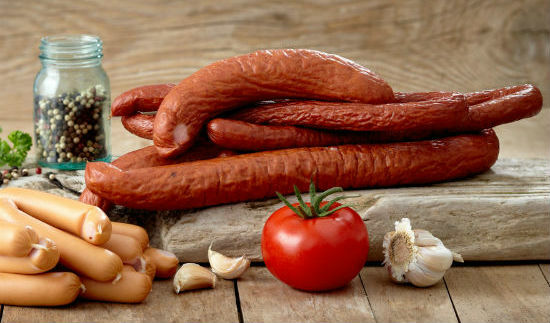 Dishes such as varenyky, pelmeni, smoked sausages and fresh baking products are also classic examples. European Specialties offers a wide selection of delicious traditional Ukrainian food. 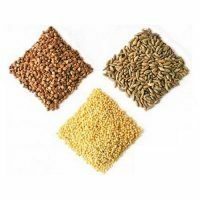 If you want to taste some unique Eastern European food, visit our store or website.